“Composition”, available in contrasting Maple and Sapele, is a modernist look that has appeal in contemporary decors. Horizontal Grain Veneer with competing veneer inlays. All woods are a natural material with varying colors and grain patterns, even in veneers taken from the same tree. The appearance of the finished doors will vary due to these characteristics. Pair Matching unavailable due to slight variations with inlay width and location. Other species are available in the Composition layout – please contact your Lynden Door representative for more information. Face Routing and Grooving Available. 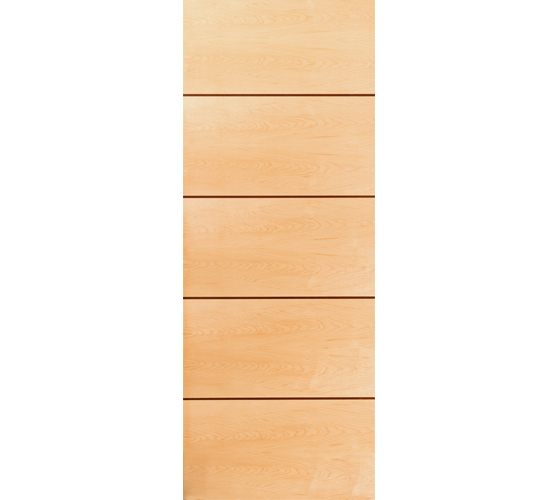 Special order contingent on veneer supply – lead time for doors may be up to 8 weeks or more.